Welcome to Lepore's Service Center! 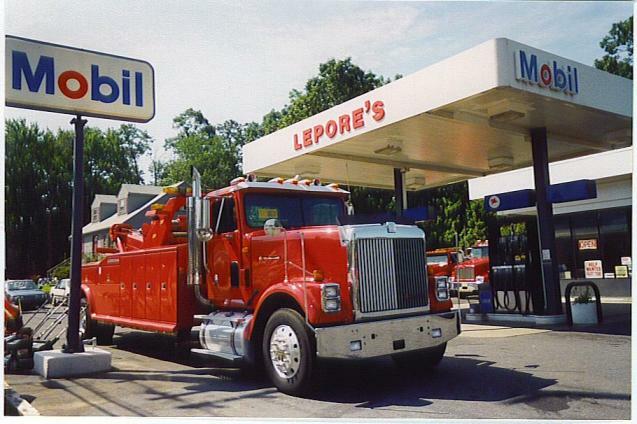 Lepore's Service Center is based out of Brick, NJ, Ocean County. The owner and employees of Lepore's make up the best collection of people available in the industry today. All of our key people have exemplary training and experience. Lepore's Service Center is an enterprise that offers many services to the community. We are ASE Certified and members of the Towing & Recovery Association of America (TRAA), Garden State Towman's Association (GSTA), and Bricktown Chamber of Commerce (BCC). NJ State Inspections, Heavy Duty Diesel Inspections, Motorcycle Inspections, Brakes, Transmission Service, Engines, Tune-ups, Tires, Oil Changes, Battery Replacement, Heating & Air Conditioning Services, All Foreign & Domestic Vehicles, Trucks, 4x4's, Light Duty, Heavy Duty. Recovery, Vehicle Transport, Motorcycle Transport & Towing, Heavy Equipment Transport. For all your In-Town and One-Way truck and trailer needs. PLEASE VISIT ALL OUR FACILITIES BY CLICKING ON THE APPROPRIATE LINKS!!! !